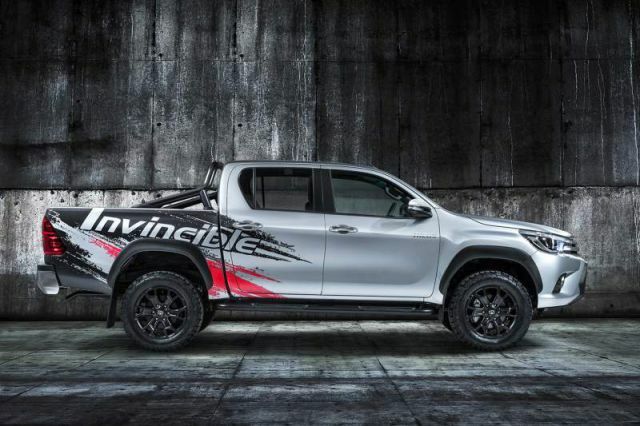 Word around has it that the Special Edition 2018 Toyota Hilux Invincible 50 premieres next year at the Frankfurt Motor Show. 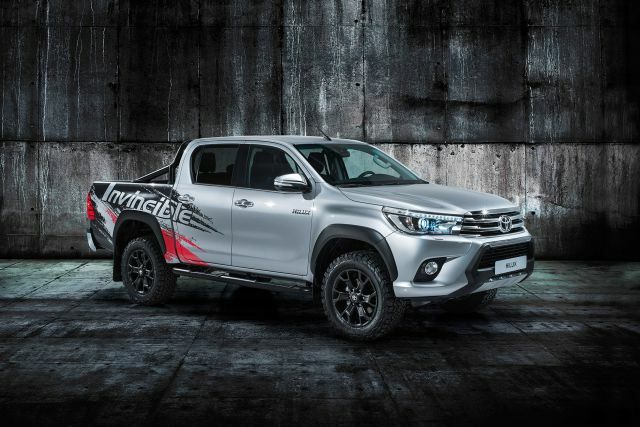 The new Hilux Invincible 50 highlights excellent durability, reliability and a custom wrap designed to lure buyers worldwide. According to the automaker, the recently configured Hilux truck will accommodate an array of leisure and professional undertakings. Toyota expects to sell more than 40,600 models in Europe by the end of this year, beating the 2007 record of only 40,104 models. 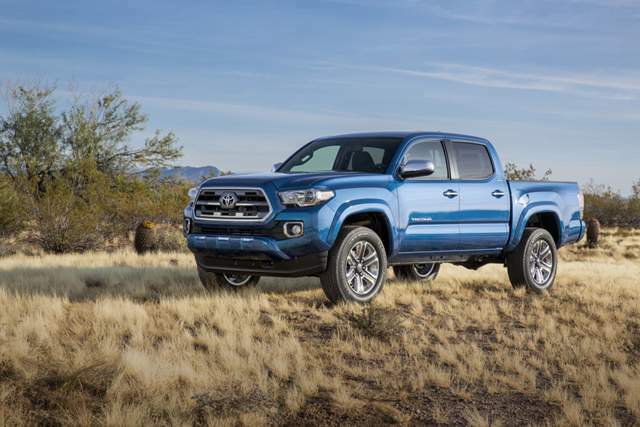 Seemingly, that is a pretty impressive record in the market where pickups are not a priority. Perhaps Toyota counts on the customized flair of the restyled Hilux Invincible 50 to increase their sales. Enough with the blabber, let’s take a look at this newly crafted machine. The body framework of the Invincible 50 remains unaltered. 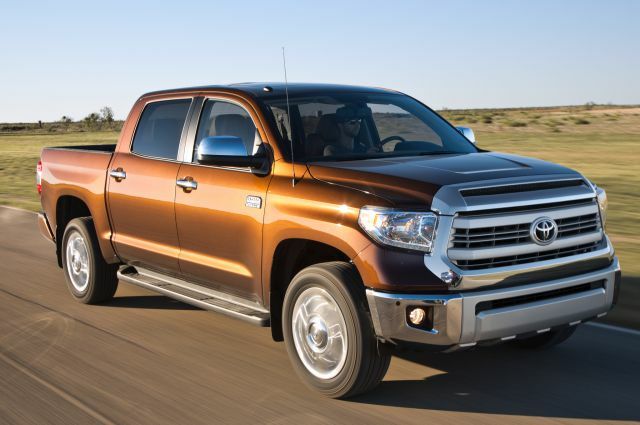 This implies that the 2018 Toyota Hilux Invincible 50 has an intact body and shape. The truck’s most noticeable tweaks are black fender flares and new graphics. Backside steps and mud flaps complement the black sports bar in the bed. A new set of 18-inch black alloy wheels grace this pickup truck. These wheels get wrapped in muscular BFGoodrich All-Terrain T/A KO2 tires. Our newly crafted Invincible 50 will sport matte black comprising a splash of red graphics on the sidebars. It also highlights a roll bar, front under-run and wheel arch moldings which come in black. The truck’s cargo bed conveys a couple of add-ons as well. The upcoming Hilux variant also carries a plastic bed liner that guards the walls of the inner bed. Besides, this bed liner also proves useful in generating static electricity occasioned by the sliding of items. We can also see a plastic toolbox that is custom-fitted in between the sports bars. Toyota equally added the bare minimum inside the cab. Some of the most noticeable parts include the custom scuff plates, floor mats and a leather wrapper for the brake handle. Of course, all these features come in a black hue. 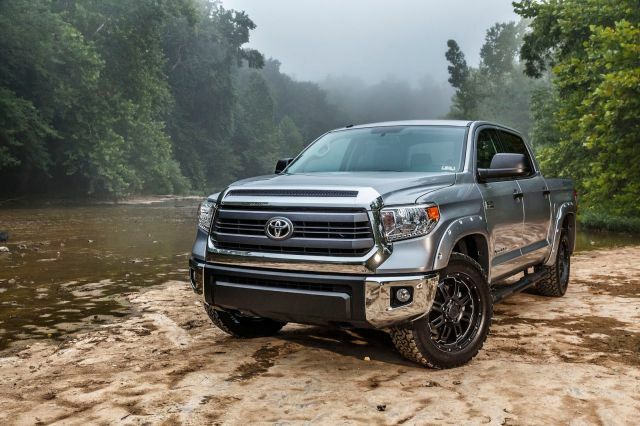 Toyota didn’t unveil most of the details about the 2018 Toyota Hilux Invincible 50 truck. 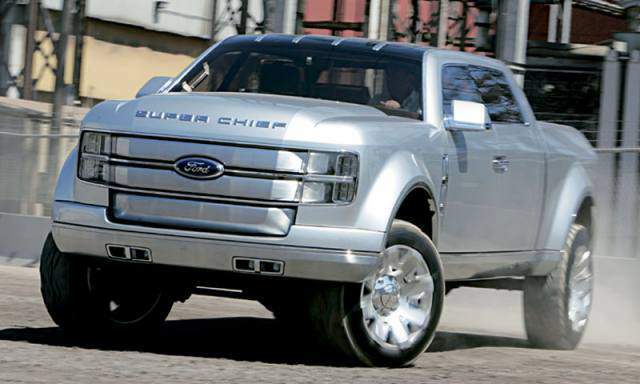 However, we believe it packs either a 2.8-liter turbo-diesel or a 2.7-liter gasoline four-cylinder engine. Both powertrains are likely to get hooked to a six-speed manual gearbox as standard. For now, let’s wait until all the information becomes available. The Toyota Hilux Invincible 50 was recently launched at the 2017 Frankfurt International Motor Show. At the time of inception, the model was based on the current Invincible variant. Although we haven’t been told when production kicks off, we expect the 2018 Toyota Hilux Invincible 50 to grace the UK showrooms next year. Similarly, the authorities went mute concerning the pricing. But, we should expect the basic variant of the Invincible 50 to start at $34,521. The primary option receives numerous features as standard. 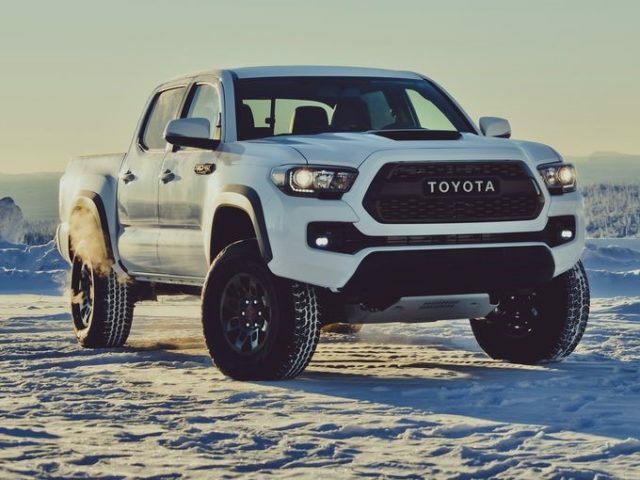 All entry-level trims of the 2018 Toyota Hilux Invincible 50 will get the keyless entry, automatic air-conditioning, cruise control, push-button start and a multimedia system with Bluetooth.